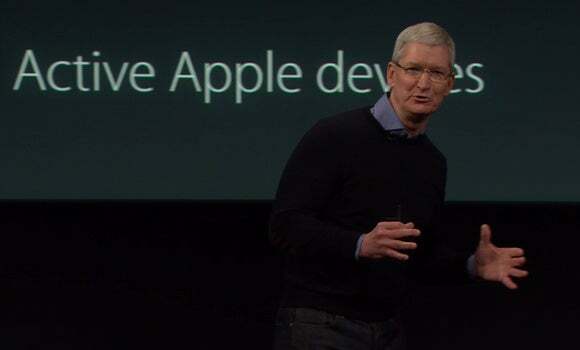 On face value, Apple’s March 21 product reveals were a letdown—and, no, not because the product details had already been leaked to 9to5Mac. Rather, the new iPhone SE and 9.7-inch iPad Pro aren’t particularly exciting devices. Neither introduces a whole new product category the way Apple Watch did, and neither introduces a spectacular, gotta-have-it feature like Siri or Apple Pay. But that doesn’t mean the new hardware won’t sell well. The bottom line is that the iPhone SE and 9.7-inch iPad Pro fill relevant holes in Apple’s product lineup, and that makes them much more important to real-world consumers than to pundits, journalists, and other Apple watchers who might be looking more for spectacle than substance. Let’s start with the phone. The iPhone SE is basically a capitulation to everyone who wants iPhone 6s performance in a 4-inch formfactor that’s friendly to smaller hands. Make no mistake: Apple is embracing small hands by delivering a 4-inch phone with all the most modern iPhone features. I don’t have particularly large, lumberjack-caliber hands, but I still demand large phones, so for me, the iPhone 6s Plus is perfect. Nonetheless, a significant number of diehard iPhone users stopped upgrading after the iPhone 5s, Apple’s last 4-inch phone, released way back in 2013. So now they can lean into the iPhone SE, the perfect compromise for people who want the latest features in what I would describe as a ridiculously tiny package. The iPhone SE has the A9 chip and M9 motion coprocessor. It’s got always-on Siri. It’s got a 12-megapixel rear camera that shoots Live Photos and 4K video. And thanks to Touch ID, built-in NFC, and a Secure Element, it supports Apple Pay. And those are just the headline features. 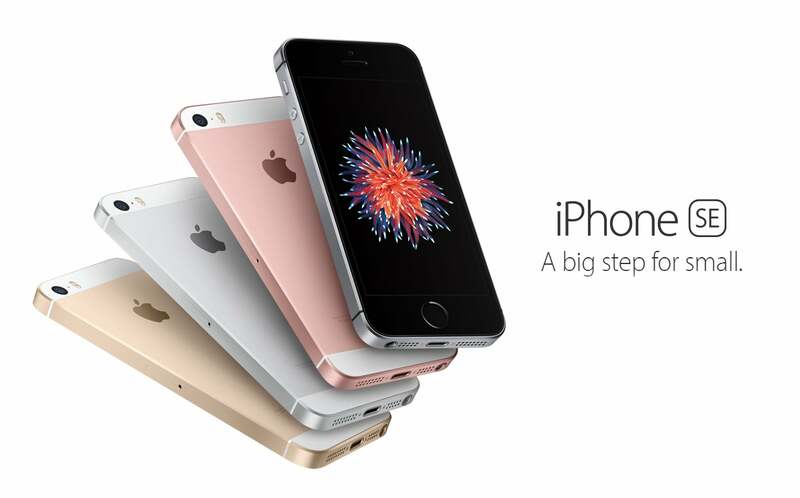 By all measure, the iPhone SE delivers the modern, full-monty iPhone experience for a starting price of just $399—or $250 less than the entry-level iPhone 6s. That’s a big deal. Especially given that as of last quarter, some 60 percent of all iPhone users hadn’t yet upgraded to one of Apple’s large phones. The upshot: The iPhone SE certainly won’t generate as many follow-up stories and pundit hot takes as, say, the Apple Watch. But it will probably move quicker in the Apple Store—and enjoy more sales success, month after month. If you think the iPhone SE is snoozy, take a look at the new iPad Pro, another simple downsizing of an existing product. For starters, the smaller iPad Pro doesn’t even get a fun new name, a la iPad mini. No, you have to deliberately append the “9.7-inch” qualifier—either fore or aft—to make sure people know which iPad Pro you’re talking about. But its introduction is still significant, and I predict the 9.7-inch iPad Pro will sell a lot better than the 12.9-inch original. First, a lot of consumers think the 12.9-inch iPad Pro is just way too large to be useful. We called it “unwieldy” for some use cases in our generally positive review. So the 9.7-inch iPad Pro immediately answers the size issue. But there’s also a pricing issue to consider. Starting at $599 for the 32GB version, the smaller iPad Pro might appeal to people who want Pro features for a $200 price savings over the 12.9-inch version. 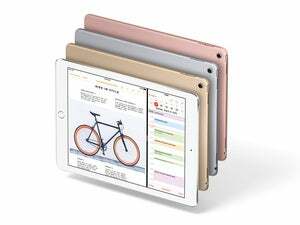 And even more significantly, the new tablet might compel users to finally upgrade the 9.7-inch iPads they’ve been using for the last three, four or even five years. Tablet upgrade cycles are long. Indeed, my most recently purchased iPad is the 3rd-gen “new” iPad that I bought in 2012. But look at the 9.7-inch iPad Pro. It weighs less than a pound. It’s got the A9X chip and M9 coprocessor. It comes with four speakers for double the volume of the iPad Air 2. And the new True Tone display feature—which uses ambient light sensors to match the color temperature of a room’s lighting—looks super interesting. No, not Siri-level interesting. 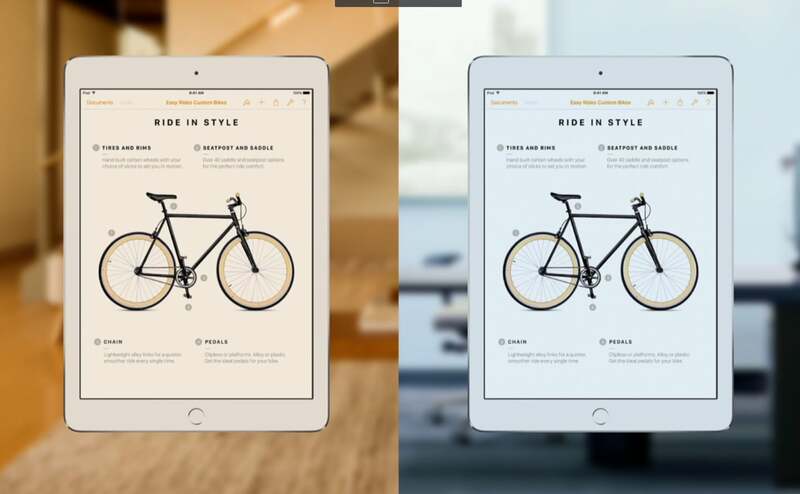 But combined with all the other Pro features, True Tone may be just interesting enough to compel me to offload my four-year-old iPad, cracked screen and all. In toto, the March 21 reveals were sirloin steak, sans a lot of sizzle. But affordable sirloin sells a whole lot better than Kobe beef, and if nothing else, Monday’s announcements should make this fall’s iPhone 7 reveal all the more exciting by comparison.